Plays break down in basketball. You will not always be able to execute your half-court offense. It’s then that a player’s ability truly shines, whether they have the skill to take over a game and help bring their team to victory. 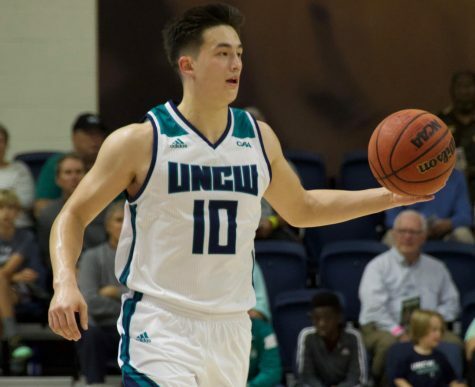 On Thursday night, UNC Wilmington’s Chris Dixon showed that he may just have that clutch ability that every team wants. 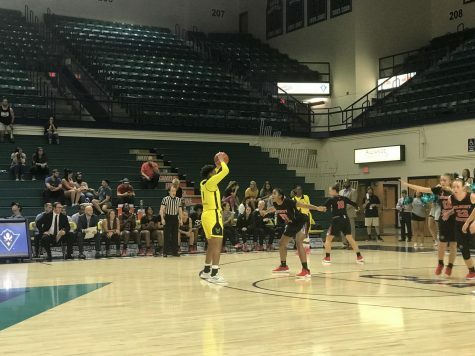 With his team up 58-55 with under a minute to go, the junior guard dribbled around the top of the key, trying to run the play Coach Buzz Peterson had called for, which was to give the ball to All-CAA performer Keith Rendleman. When the Monarch defense sniffed out the call, Dixon was left with the ball in his hands as the shot clock continued winding down. 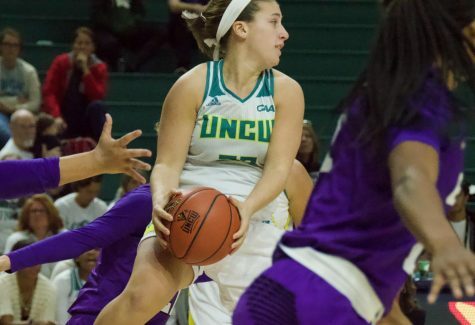 After watching the red numbers tick down to one, Dixon launched a three from the top of the arc that splashed through the net to give the Seahawks a commanding 61-55 lead with 34 seconds to go. 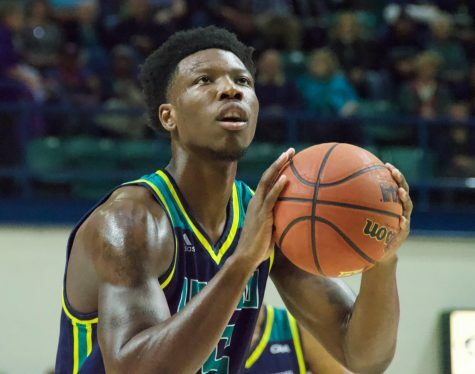 UNCW (7-10, 2-3) went on to win 65-60 over Old Dominion (2-15, 0-5), snapping a six-game losing streak to the Monarchs dating back to 2008. Following a career-high 30 points against George Mason on Saturday, maybe Dixon had some extra swagger in his back pocket for this game. Or maybe, he is just becoming more comfortable with his role in the Seahawk offense. 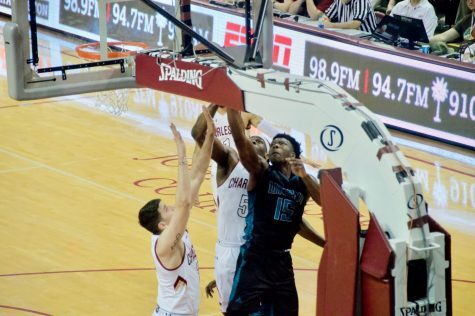 The transfer from Redlands Community College in El Reno, Oklahoma, finished with 14 points on the night, none bigger than the three he tacked on in the final minute. Meanwhile, it was a tale of two halves for Rendleman. And the score line showed that. After picking up two quick fouls in the first 2:11 of the game, Rendleman was subbed out before the first media timeout and remained on the bench for the rest of the half. He finished the half with zero points and one rebound as his team trailed 31-28 at the break. 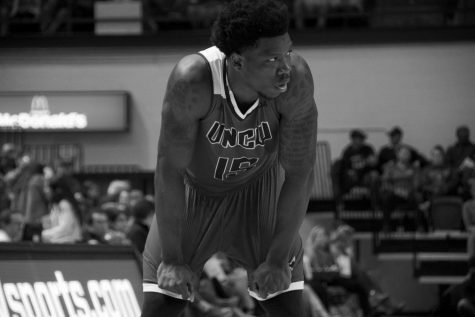 However, the senior forward displayed the dominance that has been his career lately in the second half, going for 14 points and 12 rebounds. The double-double was the forward’s ninth of his career. 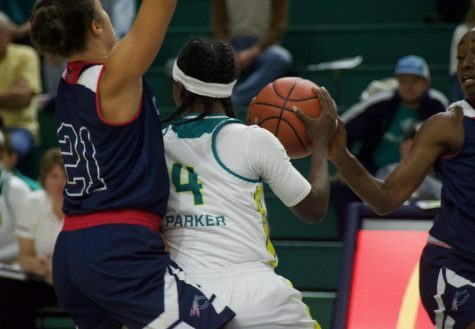 The win gives the Seahawks two victories in a row over schools that have dominated the team in recent years. 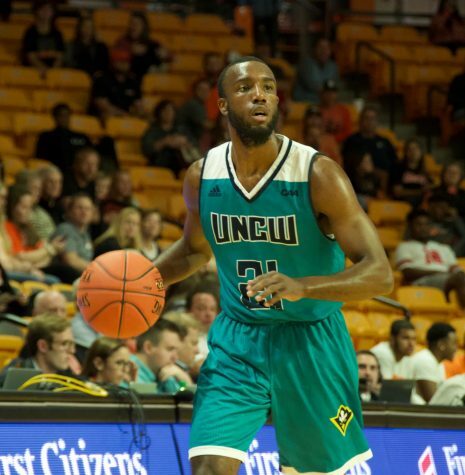 UNCW’s 82-74 victory over the Patriots on Saturday ended a nine-game losing streak to GMU, also dating back to 2008. DeShawn Painter led the Monarchs with 18 points on 8-21 shooting. 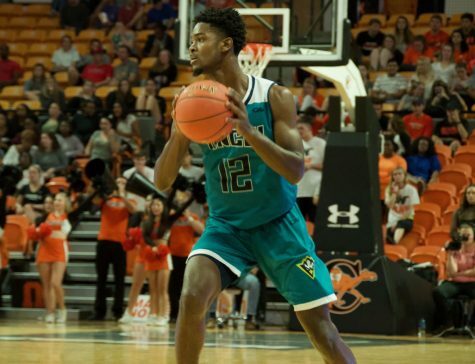 Craig Ponder chipped in 13 points while Cedrick Williams tied a school record with six blocks for the Seahawks, who play four of their next five games on the road. 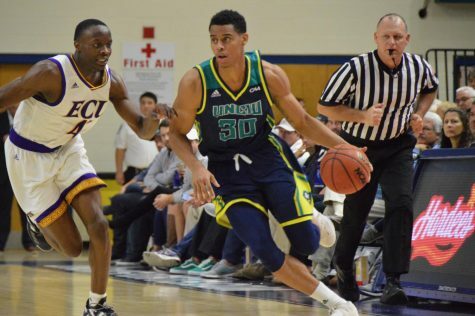 UNCW has failed to win anywhere other than Trask Coliseum this year, something they hope Thursday’s victory will help change.